Monsters University is the new film by Pixar, and while not up to par with their best films, it is a welcome addition into their canon. 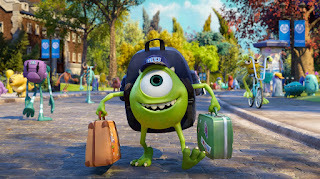 The film is the prequel to their hit 2001 film Monsters, Inc. and follows monsters Sully and Mike during their time at Monsters University where they both strive to be scarers, monsters who scare kids in the night and collect up the power emitted from their screams to power their city. As far as the story goes, while entertaining, it is very generic. We have heard this story a million times before and can predict the outcome before the movie starts. It seems like Pixar is more interested in making money than telling an original story. This is not the kind of story we usually expect from Pixar, but it is perfectly serviceable and far better than the majority of other recent family films. Monsters University is so lively and so many of the details are nailed that it is easy to overlook any faults in the story structure. The voice cast is great as always, with Billy Crystal and John Goodman in the leads. With Mike and Sully, they create some of the most likable and recognizable characters that are hard not to love. This film will play especially well with college audiences or college graduates, as many of the jokes or details will only be understood by those that have been at college. That being said, kids will love this movie for its bright colors, good sense of humor, and excitement. The animation, sadly, is nothing to report on. It looks good, but is not much better than a standard 3D animated film, which is a shame, as Pixar has a reputation for producing some of the most beautiful animated films ever. If you’ve seen the stunning oceans in Finding Nemo or the dazzlingly retro feel of The Incredibles, you’ll know what I mean. It seems as if Pixar got lazy this time and didn’t work on making the animation up to their usual standards. 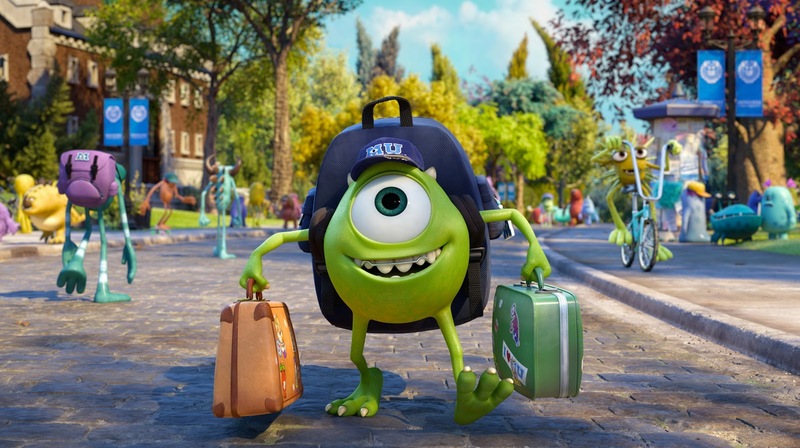 Overall, Monsters University is a very good little animated movie; a minor work by Pixar, but an entertaining and feel-good one nonetheless. I felt like a little kid again watching this delightful movie, which is more than I can say for most other movies nowadays. This would be a great movie if it had come from any other studio, but I can’t help but feel a bit let down since it came from Pixar.